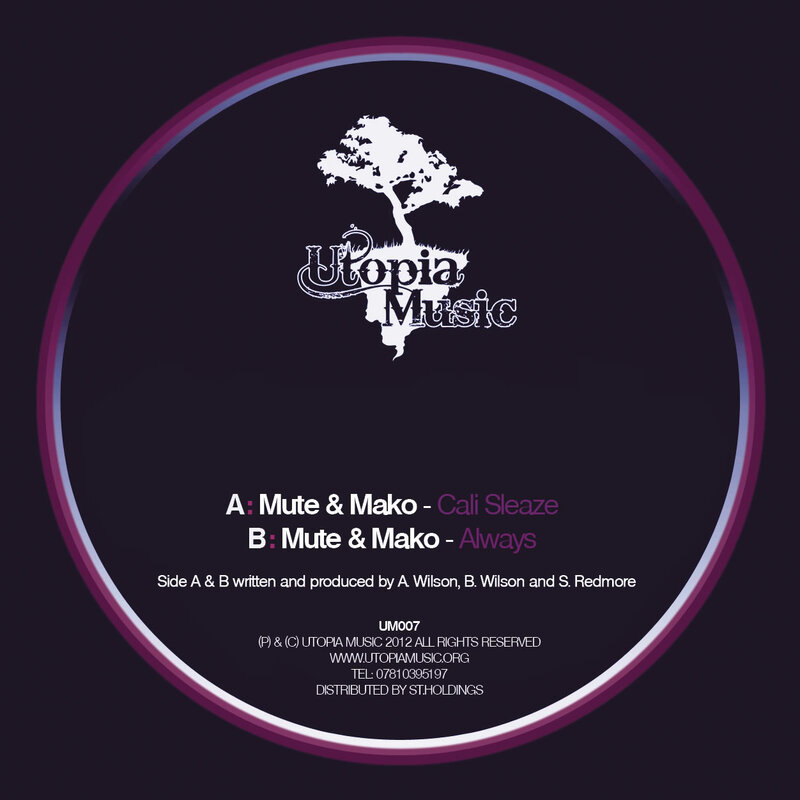 Mako’s Utopia Music label returns with the mighty Mute alongside the man himself with 2 storming drum and bass cuts. Both featured on this weeks Robot Bodypop show. First up is the atmospheric and moody ‘Cali Sleaze’. A future soundscape that we’ve come to love at the RBP. On the flip its the techy and industrial roller ‘Always’. Heavy subs alongside vocal stabs coupled with a deep groove. Love it. Released on 30th April. Bag it. This entry was posted in The Robot Recommends and tagged bass, beats, bodypop, deep, drum, example, experimental, future, jungle, killian, magazine, mako, music, mute, new fresh, reggae, robot, Sub, tech, utopia, vocal by Killian. Bookmark the permalink.